The Bronze Rage. 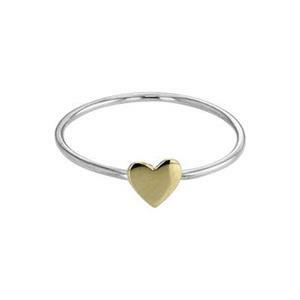 The latest, greatest trend – “It’s all the Rage” – our SR507 - Bright Sterling Silver 1mm Stacking Ring with a Bronze Heart. Size 7. For Ringing In Any Age or Rage - take a look at our complete listing of Fancy Finger Rings.